Reputation is everything and our work is quality! "Overall: fast, decent pricing, great quality"
Great experience & quality work! We found Scott Field, of ASAP Roofing NH, to be above and beyond our expectations. Fair price, huge array of roofing samples, and so happy we were referred to him! Communication of a quote, ongoing timelines, and professionalism was great. The work was done incredibly efficiently and well. Clean up was better than we could have imagined. Thorough follow up to be sure we were happy with the job. Scott and his crew arrived on their scheduled day and got right to work. It was wonderful watching such a well-organized process and the end result was fabulous! The crew finished everything in a day, including a very thorough clean up. My wife and I love the look of our new roof! Thank you ASAP roofing for a job well done! The roof came out great!! I was very impressed with the cleanup! Very professional thank you scott! Scott finished our roof in an unbelievable 3 days on 7/8/16. To say that Scott and his team were professional, efficient, and neat would not do justice to the quality of their work/product. Scott was a pleasure to work with. He is a very nice person, and professional in every aspect of his business. He uses quality materials, and takes the time to explain to explain the cost/effectiveness difference in various roofing products. We recommend him and his team unequivocally. The Cleanup Was GREAT!! 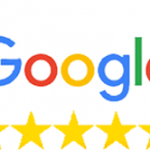 !” Scott’s availability via phone and email always made scheduling and connecting easy. I would highly recommend Scott to anyone. I have had ASAP Roofing do roofs on two of my properties. Scott was a pleasure to work with. He is readily available for communication and routinely checks in with you during the project to make sure everything is the way you like it. The job completed was clean and well done. Scott has a great business going and if you shop around you can't fine better quality work for the price. ASAP Roofing is not one of those sketchy roofing companies you come across trying to scam you. Scott is professional and thorough. Thank you to Scott and his hard working team at ASAP Roofing. Scott cares a great deal about making sure the customer is happy throughout the entire roofing process. This was seen by him always being reachable whenever we needed a question answered or by him personally overseeing our roof being installed to make sure everything went smoothly and we were 100% satisfied. Also a big thanks to the amazing crew who worked a long day in 90 degree heat to ensure the roof would be done in 1 day. Thank you again to Scott and the entire ASAP roofing team. "Done right the first time." Scott from ASAP Roofing has completed well in excess of 1,000 residential roofs for me, as well as handled commercial installations. When a roof is done by ASAP you can guarantee it's done right the first time. Work sites are clean and safe. They show up when they are scheduled and work from start to finish. Their customer service and follow up, including warranty, if needed is second to none. One of the best roofers around! I would highly recommend ASAP Roofing. We just had our roof replaced in August 2015. Excellent, excellent, excellent. Have your own experience to share with us? We’d love to hear it!